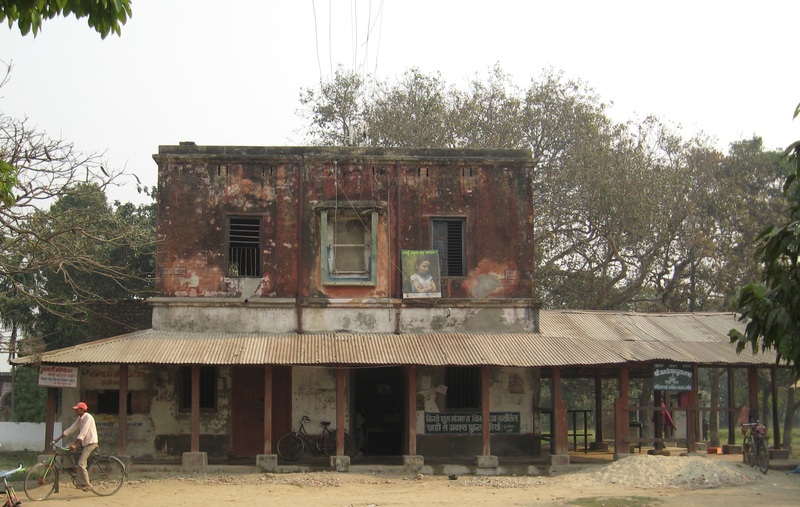 The Janakpur Railway is a 30 inches (762 mm) narrow-gauge railway, which was brought on line at 1928. 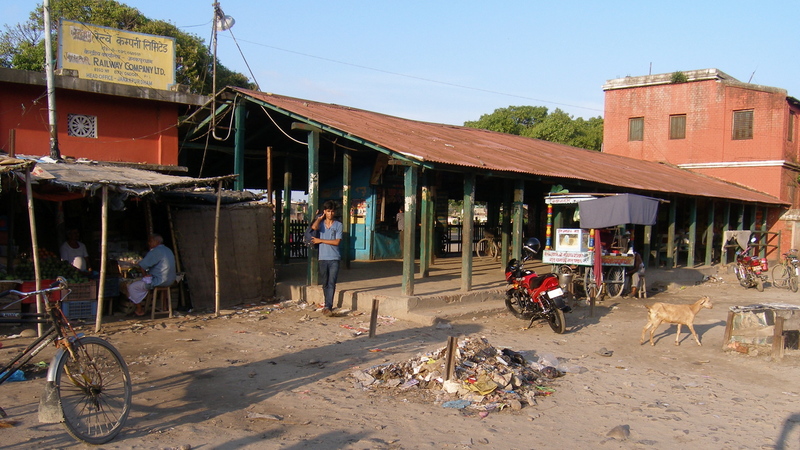 It is connecting Jaynagar (India) and the nepalese pilgrimage site Janakpur, in the Terai province Dhanusa, about 100 km south-east of Kathmandu. From Janakpur the line continues to Bijalpura. The operating company "Transport Corporation of Nepal - Janakpur Railway" was renamed to "Nepal Railways Corporation Ltd." in 2004, but is still a state-owned enterprise. The big Hindu temple of Janakpur is the primary reason of the existence of the railway line. which has a length of about 51 km. It is the only railway line of Nepal and in the teeth of high ridership there is no progress in terms of improvement of the railroad network. The best attraction of the Janakpur Railway are the trains, running on the line. In the passenger trains are used all waggons that are rollable and can carry passengers. For the people of the region the Janakpur Railway has become a vitally important economic factor. The line is divided into 2 sections: Jaynagar - Janakpur with a length of 29 km and Janakpur - Bijalpura with a length of 22 km. After a washout of the railway embankment ant two missing bridges the operations between Janakpur and Bijalpura was stopped in 2001. The line goes from Jaynagar northwards to the border of Nepal and then westwards to Janakpur. From Janakpur it goes northwards to Bijalpura. The first locomotive was an english steamer named after the Hindu God Vishnu and starts the service on the Janakpur Railway in 1928. It was operating till this days and had a service performance of more than a million kilometers. Today the entire service is done by diesel locomotives of the calss ZDM5. The railway company got 4 of this locomotives from India as a gift in 1994. The ZDM5 524, ZDM5 533 and ZDM5 535 are still in operation. Two of them are always used in the service, while the third one is in maintenance. The ZDM5 536 is retired and is located in fragments at the depot of Janakpur Dham. In the fall of 1994 "Vishnus" also had to bend to the progress and had to join its last service. Only steam trains operated on the line until the railway company in 1994 got 4 diesel locomotives from the Indian goverment as a gift. In normal service three trains daily in each direction, one in the morning, one at noon and one in the afternoon, are operating between Jaynagar and Janakpur. During the celebration at the temple the trains run around the clock without timetable in a shuttle, but still hopelessly overcrowded. 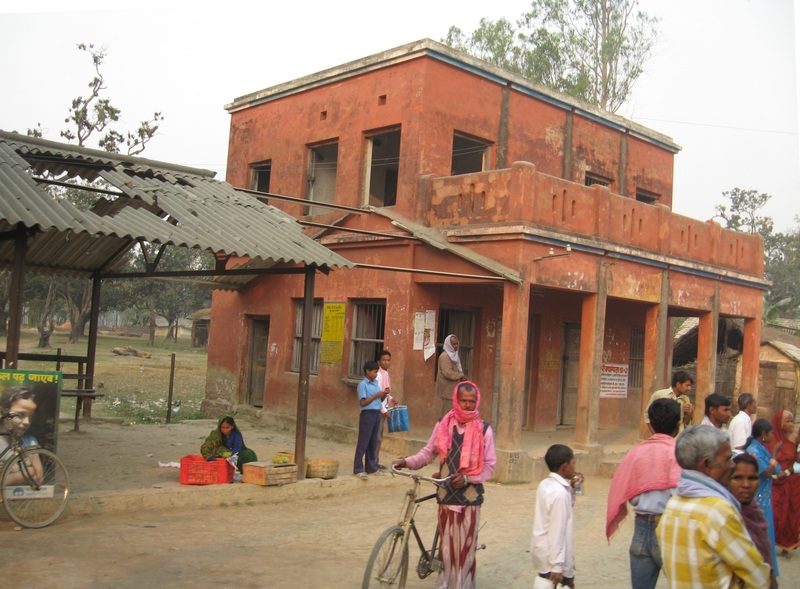 The section Janakpur - Bijalpura was served once a day in each direction until 2001. Every morning a train ran from Bijalpura to Janakpur and back again in the afternoon. Indiens Eisenbahnministerin (Mamata Banerjee) gab bekannt, dass die Zentralregierung Gutachten in Auftrag gegeben hat, um die Erweiterung des Eisenbahnnetzes nach Nepal zu untersuchen. Bei der Vorstellung des Bahnetats für 2010 / 2011 im Lok Sabha* sagte die Eisenbahnministerin Mamata Banerjee, dass Gutachten in Auftrag gegeben wurden, in denen die Einrichtung einiger neuer Bahnlinien mit Verbindung nach Nepal untersucht werden sollen. "Unabhängig davon soll eine neue Linie von Jogbani nach Biratnagar errichtet werden und die Umstellung der Spurweite zwischen Jaynagar und Bijalpura durchgeführt werden. Auch eine Verlängerung nach Bardibas ist geplant." In 1991 the population was about 5200. High date palm trees form the entrance to the village. Centre of the village is a Shiva temple with two shrines which are dedicated to the elephant God Ganesh. In 1991 the population was about 2500. In 1991 the population was about 3600. Janakpur is located about 100 km southeast of Kathmandu in the Terai province of Dhanusa, and is today regarded as the ancient city of Mithila, the capital of the historical Kingdom of Videha, and center of Maithili culture. In 2001 the population was about 75.000 and it is growing about 3% per year. Approximately 93% of the population are Hindus, while Christians are the minorities with among 0,02%. In addition to many other temples there are two very significant in Janakpur, the Janaki Temple and the Rama Temple. Janaki is one of the names of Sita, wife of Rama and daughter of King Janaka. The Janaki Temple was built in 1911 and was a gift of Queen Brikha Bhanu Kuwari of Tikamagarh in the Indian State of Madhya Pradesh. She donated the cost of 900.000 rupees, because her wish for a son came true, after she made a pilgrimage to Janakpur, to worship Janaki. The Rama Temple was built in 1882 by King Rana Bahadur and is the oldest in the city.